“Vultures” is the follow up single to the band’s smash hit ‘Alone in A Room’ which spent 28 weeks on the active rock radio charts, peaking at #7 and has racked up 17.6 million Spotify plays and 6.8 million Youtube views to date. 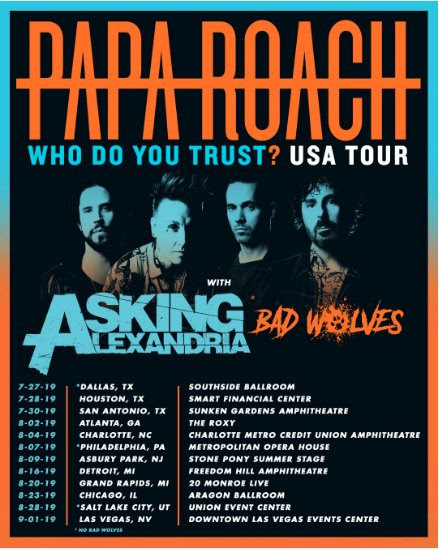 Also announced this week is the band’s inclusion on ‘Who Do You Trust’ US Summer Tour with Papa Roach and Bad Wolves which will see them play 12 dates across the US Starting in Dallas on July 27th and ending in Las Vegas on September 1st. 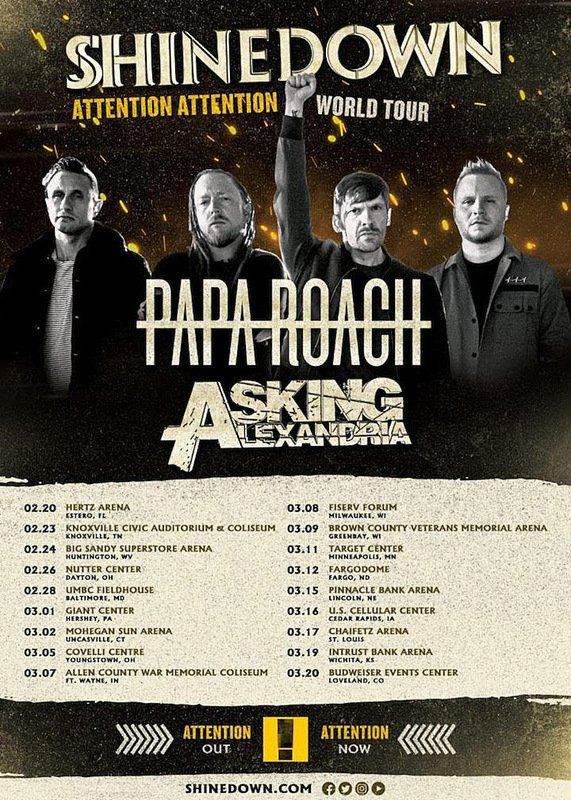 Asking Alexandria are also touring arenas across the US in early 2019 with Shinedown and Papa Roach on the US leg of the ‘Attention Attention’ World Tour.